Quantum Stones is honored to have the opportunity to collaborate with Shaman, Reiki Master and Galactic Historian Andrew Bartzis to bring you this one-of-a-kind collection of Galactic Compass Amulets. These custom pendants are a manifestation of the design team’s powerful intentions to create a piece to assist users seeking direction concerning spiritual, earthly and galactic guidance. 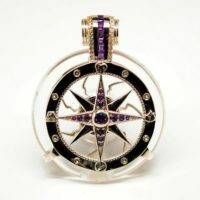 With more than 25 years of experience as a transcendental teacher, coach and mentor, Andrew Bartzis’ vision for this pendant was celestially inspired. 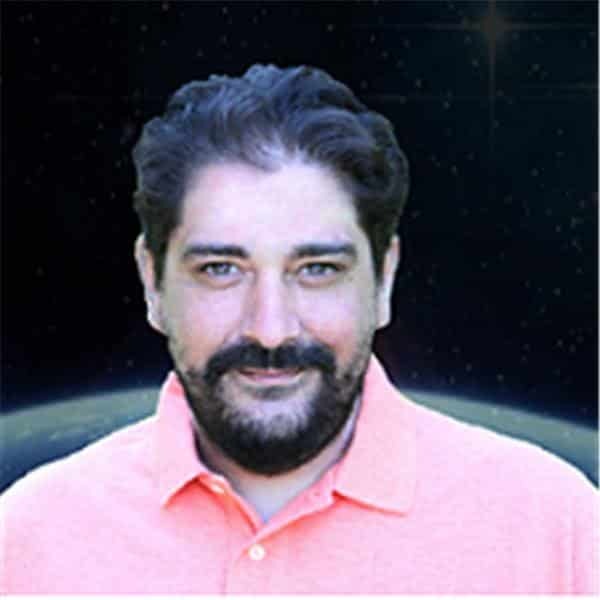 Those desiring to escape artificial intelligence and discover the divine truths of the Akashic Records will appreciate Andrew’s skills, as he has the ability to tap into these insights while in a fully conscious, yet sacred neutral state. He happily agreed to use this guidance and his visions to help make the Galactic Compass an unsurpassed powerful tool to enhance user’s abilities for higher knowledge, manifestation and healing. Whether you’re looking to experience an elevated level of spiritual awakening or are ready to discover your purpose and direction in this life and other realms—this is the perfect tool to assist in your transformation. 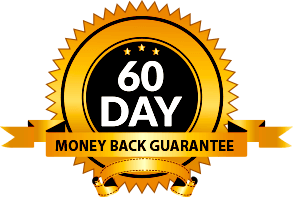 Each piece is crafted with the superior quality you expect from each Quantum Stones pendant and is backed with a full guarantee of satisfaction. 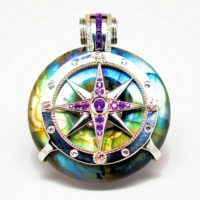 Each Galactic Compass features an AA rated torus stone and is wrapped with .925 Sterling Silver that is abundantly adorned with 57 authentic gemstones and crystals. Strategically balancing the exterior design of the compass, you’ll find designs of the fundamental elements of the natural world: Air, Fire, Water and Earth, which opens one up to receiving the assistance of the guiding forces of nature. Galactic Compass amulets are infused with three of our most popular LightShield™ harmonic infusions—Sound of Sun, Sound of Earth, and Shield My Aura—and come with a complimentary chain of your choice, a polishing cloth and arrive in a gift ready jewelry case and box. This collection is one of our most captivating to date, so don’t miss your chance to own a piece from the Galactic Compass line designed by two master innovators.